Hello! 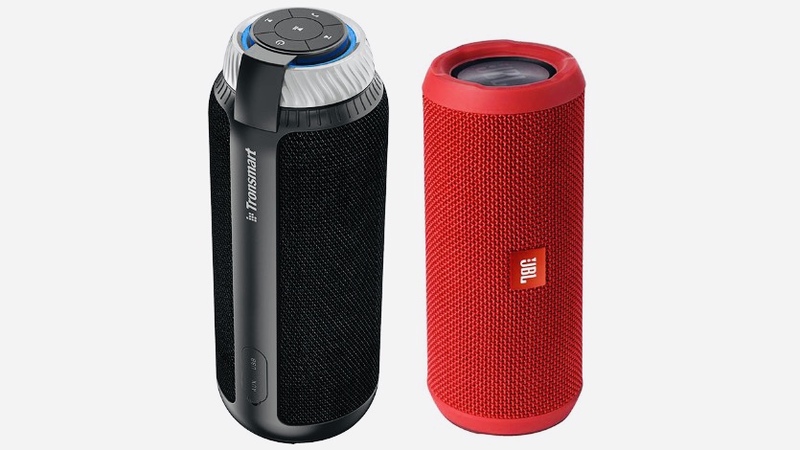 Today we will talk about the most daring and very good brand of portable speakers, portable batteries and other small gadgets accessories. From the best football player Luis Suarez from the football club Barcelona! Tronsmart is a designer and manufacturer of top-class accessories in China as well as in the United States and Europe. They’ve been working for five years and have sold around 5 million devices during this time. Tronsmart accessories appeared on the Russian market not too long ago and they immediately broke into the most popular niches: portable speakers, headphones and power banks. Tronsmart literally gnaws its share of the market with less "greyhounds" competitors with its teeth, coming with a product with similar characteristics and lower prices. Or steeper and featured products at the same prices as competitors. 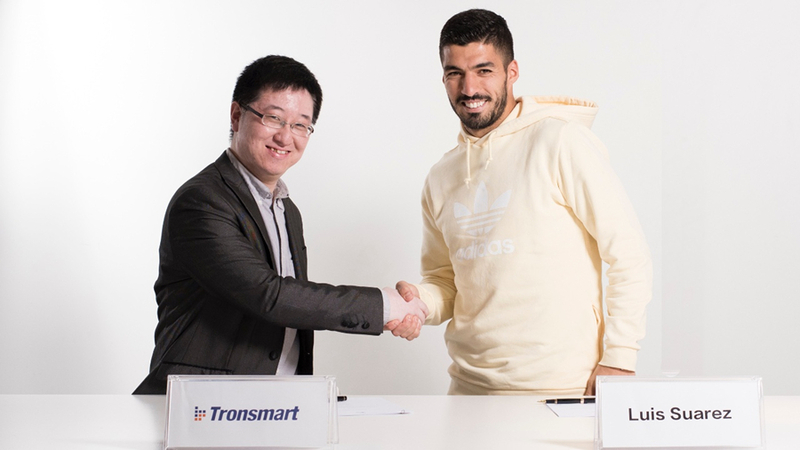 The official face of the Tronsmart brand is the legendary striker of the Spanish "Barcelona" Luis Suarez. The well-known competitor “for three letters” (JBL) chose a not quite traditional musical orientation as the ambassador of the Ukrainian singer. And Tronsmart - perhaps the best scorer of the Spanish Premier League. The contract with Suarez costs Tronsmart several million dollars a year. You understand that the manufacturer of Deshman's nameless consumer goods would never have hired such a serious guy. Let's pay the closest attention: Tronsmart is by no means the typical “logo sticker maker” on the products of nameless Chinese factories. Everything (absolutely everything!) That is sold under the Tronsmart brand is developed by Tronsmart engineers and manufactured by Tronsmart's own factory. The company employs about 200 people and has more than a third of engineers - 72 specialists! 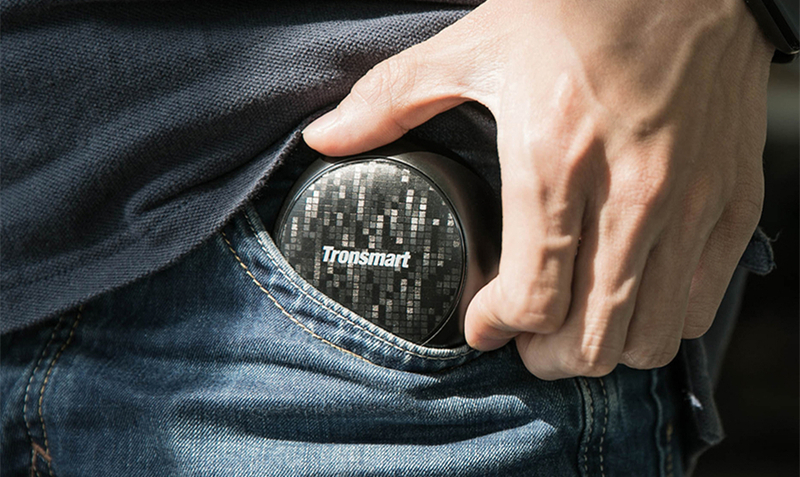 The original purpose of creating the company Tronsmart is to develop high-quality “accessories” and small gadgets such as speakers, consoles and external batteries. 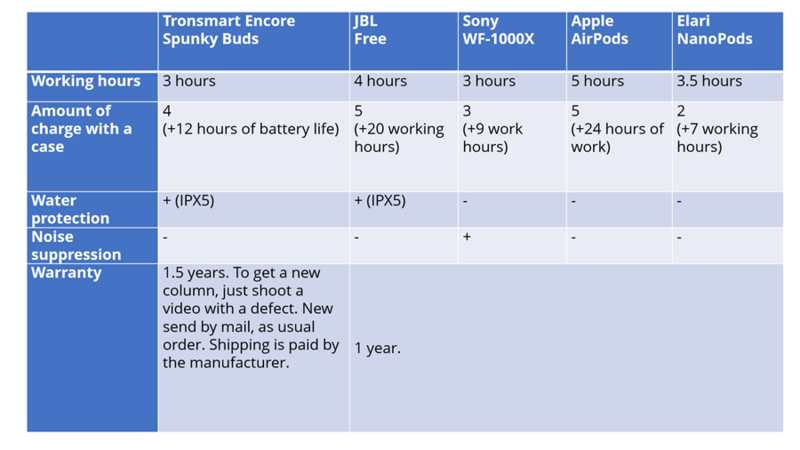 Since in 2013 it was obvious that there are practically no normal devices of this type in the lower price segment and that it will only get worse. Yes in the top league of the accessories market there are completely different players. Fact, but they take mostly not engineering and all sorts of marketing tricks. For example, the well-known competitor “for three letters” (JBL) chose the not quite traditional musical orientation I.D. as ambassador of the Ukrainian singer. Probably the decision was made by tolerant marketers from the American headquarters. They are deeply violet on Russian realities, but something tells us that the residents of Russia are much closer not to the pop singer in heels and to the evil and bold Uruguayan Suarez from Barca. Tronsmart does not lag behind its ambassador: they are no less evil, harsh and aggressively bold. Every product is a blow to competitors and at once, both on cheap Chinese and on top and demanded brands in Russia! Here are a few Tronsmart “knockout” developments which really have no analogues. 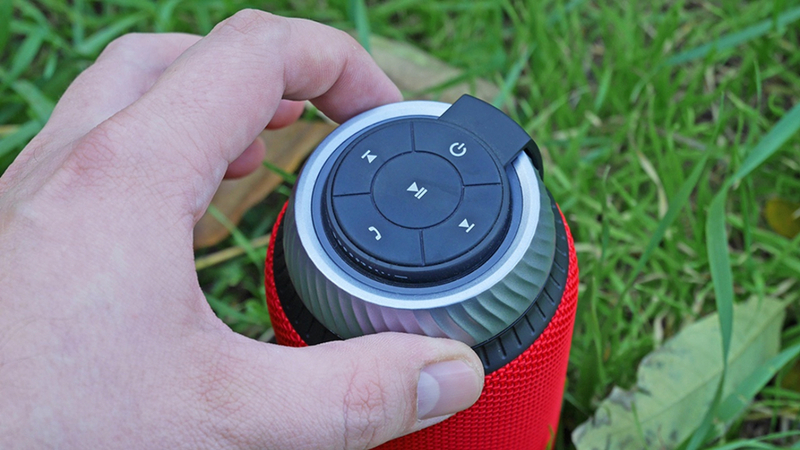 Tronsmart Element T6 - without a doubt is the best street and “marching” Bluetooth speaker for you. The term “marching” should be understood as a sporty design, a relatively small weight and a 360-degree sound - this is important for picnics and other sorties into the fields, where the column can be placed in the center of a company sitting around and chewing a skewer under brandy. And everyone will hear music equally well. Good sound with heavy bass which provides a miniature 1-watt subwoofer located at one of the ends. Plus: convenient control - no need to aim at the buttons as the volume is adjusted by turning the neck of the column. Plus: the size is exactly under the bottle holder for great. 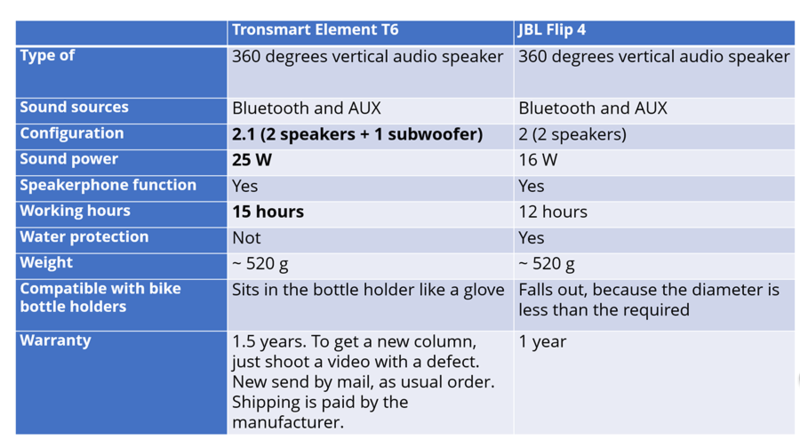 We start with the fact that Tronsmart Element T6 has an additional subwoofer which is why the audio system format can be designated as 2.1. 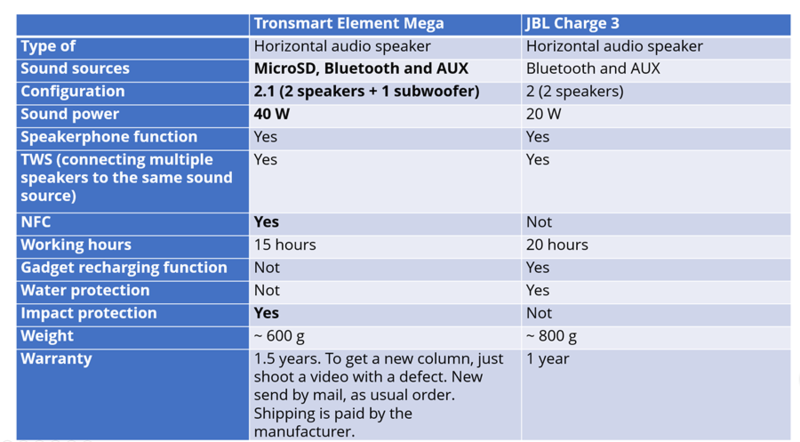 Due to this the sound is more saturated and powerful than the model JBL. Another plus of the Tronsmart model is a longer battery life. The only disadvantage of the model compared to the competing model is the lack of protection against water. 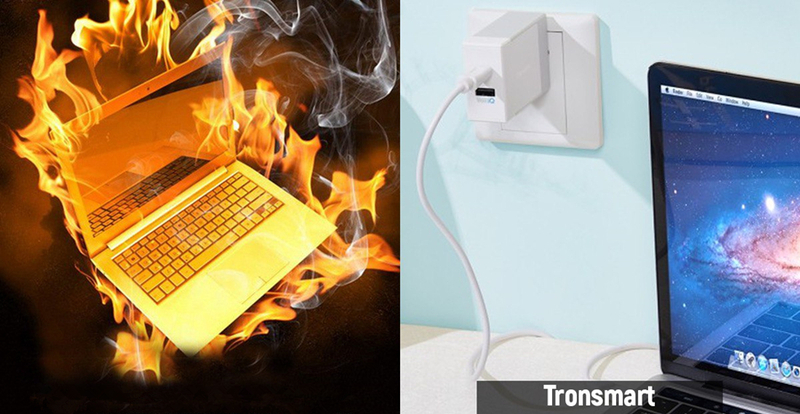 However, there are videos on the Internet where Tronsmart Element T6 is tested in water and nothing dies. 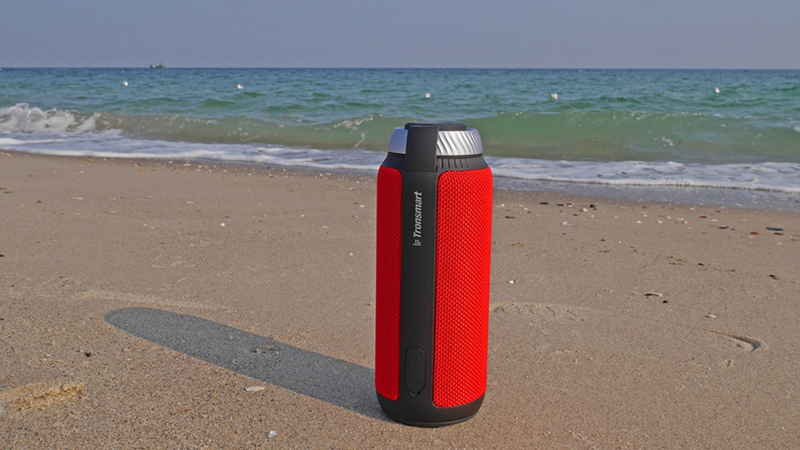 In short, you can listen to the beach and at least a splash of water will hardly damage the Tronsmart speaker. 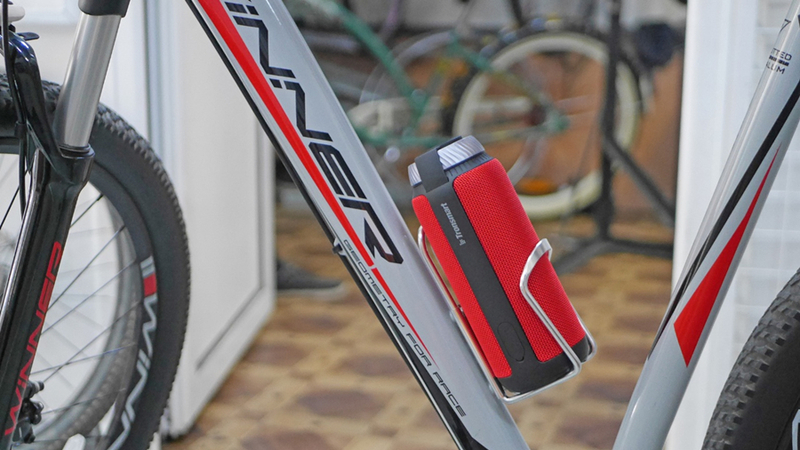 We repeat once again that the Tronsmart Element T6 is great for cyclists — it was created with an eye on bicycle bottle holders and it fits perfectly in them. For comparison: some models of a competitor “three letters” do not climb there at all while others, on the contrary, are too narrow or hang out and fall out. When riding a bike you can lose them altogether. 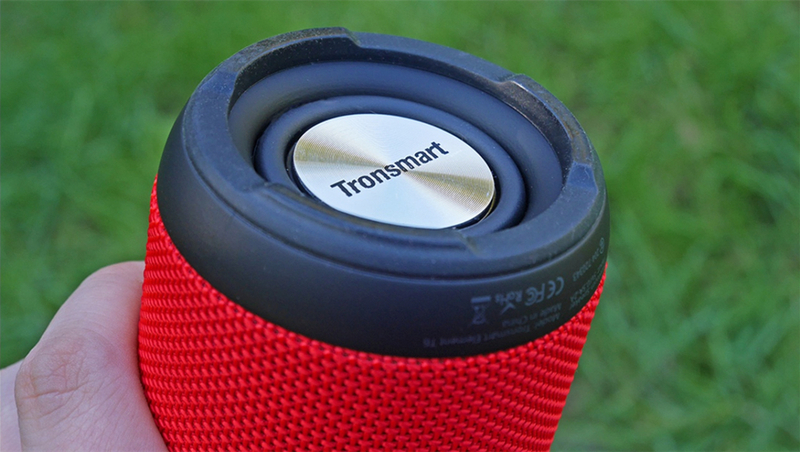 In short when you need a sports-hiking speaker - only the Tronsmart Element T6 is the best option. Other options a) are more expensive and b) are inferior if not in all, then in most parameters. The smallest super-loud speaker in the world. 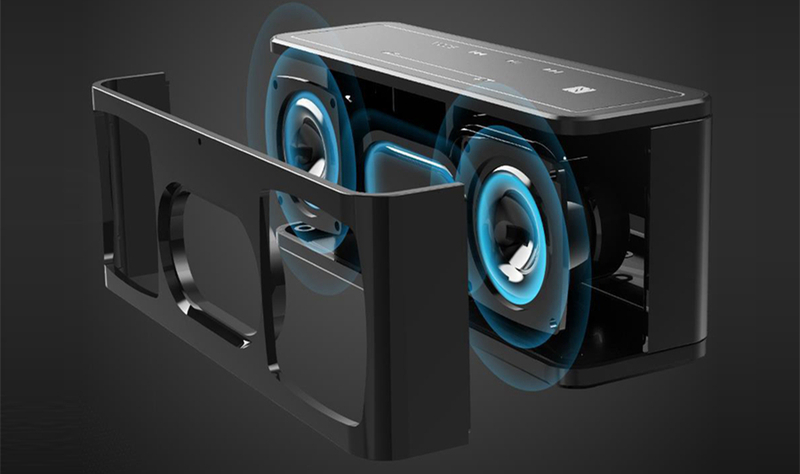 The most sophisticated budget speaker: powerful sound + NFC + protection from shock. Very loud and powerful sound will allow any yard to be torn to shreds. The main thing: two times louder than the main competitor. 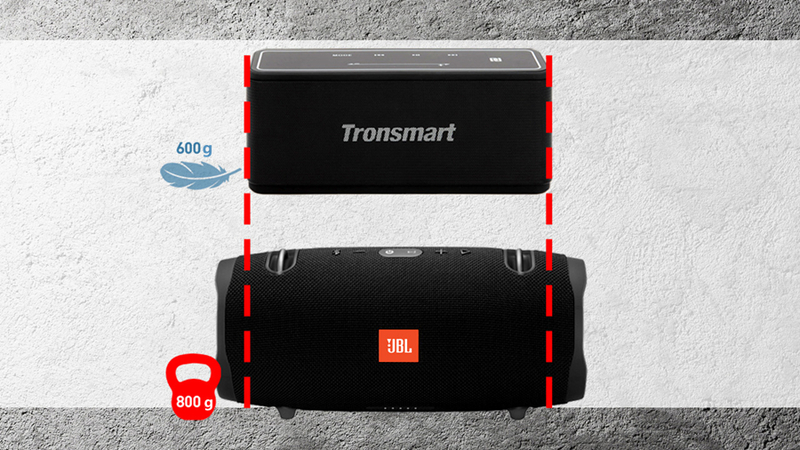 Therefore, when you really need a really cool, powerful sound - the Tronsmart Element Mega is the only right choice. In the load get protection from shocks and playing tracks from the microSD. 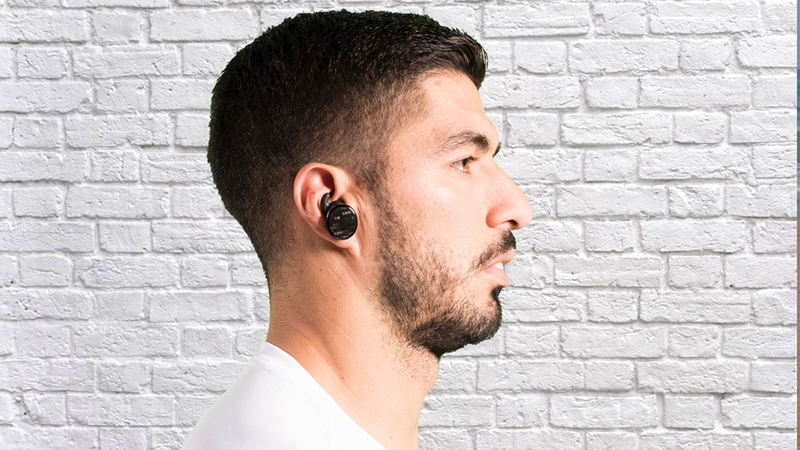 The model is ideal for sports - from regular jogging in the park and treading a treadmill in the gym to football (not for nothing that these “ears” like the brand’s ambassador, Luis Suarez!) and cross fit. Headphones are not afraid of sweat and even if you run a marathon at the speed of a sprinter they won't fall out of your ears. It is safe to wear in the rain (only diving in puddles) and they also look cool - just for those who do not want to use the fruit counterpart because they are too “elegant” and “glamorous”. So where do without comparison with competitors? Not everyone has a portable speaker (although there are more and more such people). Not everyone even has a headset - someone walks with penny pokes that were bundled with a mobile phone and does not buzz! But Power Bank is really a consumer product. The main difficulty in using portable batteries is their size and weight. It looks like a classic plot from Yeralash. What is the use of a cool, thin smartphone if you have to carry the Power Bank into the load to it - a piece of aluminum, thick as a dictionary, and heavy as a brick? Tronsmart solved the problem of portable battery size by developing the thinnest and lightest Power Bank in the world with a capacity of 10,000 mAh. Tronsmart Trim 10,000 is equipped with USB Type-A ports (older smartphones) and USB Type-C with USB Power Delivery (new smartphones and MacBooks), and supports Qualcomm Quick Charge 3.0 fast charging technology, Huawei FCP proprietary technology and surge protection VoltiQ. The latter is a proprietary development of Tronsmart. For example, the mega popular flagship external battery Xiaomi Mi Power Bank Pro for the same money is wider, thicker and 30 grams heavier than the Tronsmart Trim. For batteries, every gram is really important because most of us carry them in our bag or pocket every day and all day! Also the Tronsmart batteries have a USB-Type-C connector with USB Power Delivery support for charging MacBooks. Whereas the Xiaomi has USB Type-C port only for recharging the battery itself. The Quick Charge technology is supported by both batteries, but Tronsmart has Quick Charge 3.0, and Xiaomi has Quick Charge 2.0 that is slower. Plus the Tronsmart supports Huawei FCP brand fast charging (which is generally a rarity) and gives a large amperage - 3 A against a maximum of 2.4 A in Xiaomi. 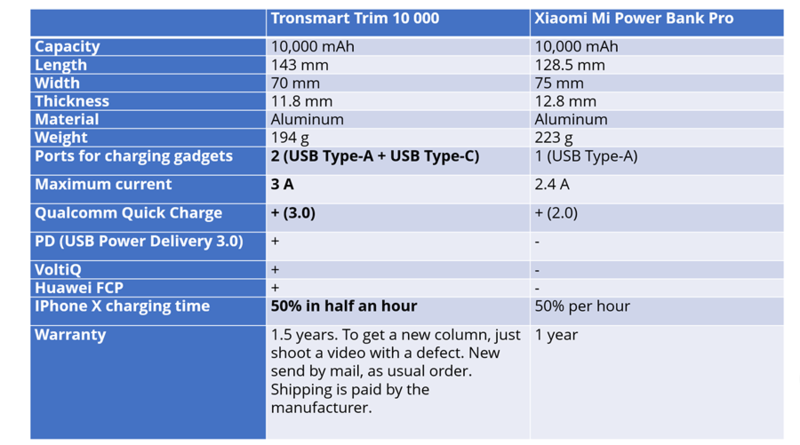 The first thing you need to know about charging Tronsmart: the company is on a very short foot with Qualcomm and USB Implementers Forum (an organization that develops and improves the standards of the USB group). Therefore, every single Tronsmart charger - for laptops, smartphones, laptops and smartphones at once - completely, 100% meet the official specifications specified in the Qualcomm Quick Charge and USB Power Delivery standards. For example, if Tronsmart says that charging from USB Power Delivery delivers 30 watts and is able to charge a MacBook just as fast as Apple’s native charger then in practice everything will be exactly the same. Think is different? Here for example is the real story when a person bought a non-original (albeit more or less branded) charge from USB Power Delivery and charged the MacBook 10 (ten!) Hours. Once again: Tronsmart chargers are the only option to buy fast charging for the MacBook (there are options both with additional USB ports for smartphones and without them) and not get problems. And Tronsmart will send you a new device in return. Is free! At the address you provided. And that's it! Note: To see Tronsmart Warranty Policy at www.tronsmart.com/warranty-policy.html and extend your warranty up to 6 months on certain products by registering on our warranty registration, more details at www.tronsmart.com/warranty-registration.